Guess what! You’re invited to the best kind of party. Expect to see lots of stars, at least a few planets, and maybe some deep sky objects like nebula, star clusters, or distant galaxies. It’s called a star party and it’s being held in a dark location near you. Around the world, astronomy clubs host star parties to share the experience of looking up at the night sky. 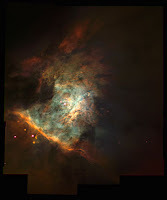 Club members bring telescopes, binoculars, and sky charts. The public is often invited to attend. 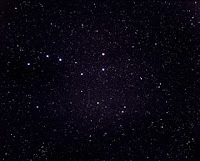 Search “star party” along with your location to find a nearby event. Plan to arrive before nightfall to avoid the need to use vehicle headlights. Cover your interior and trunk light with black cardboard to ensure no light escapes. You will have to cover your headlights before you leave unless you choose to spend the night. In that case, plan to be quiet in the morning and into the early afternoon. Astronomers call themselves “day sleepers." Make sure you only use red light if you need a flashlight to look at a sky chart or find your way. If you don’t have a flashlight with a red bulb, cover the white light with red cellophane or red plastic from a shopping bag. A rubber band will hold it on. Star party organizers and attendees are serious about astronomy. It’s important to make sure you don’t upset anyone’s night vision. That means you can’t use lighters, matches, or flash cameras either. As day turns to night, look up. You will notice more stars after your eyes get used to the dark. It’s amazing what appears after only 15 minutes. Let 30-45 minutes pass and the sky becomes even more remarkable! Some people retain their night vision by using one eye for observation and the other eye to look at sky charts. Don’t be surprised if you see a star gazer wearing an eye patch! Use inverted vision to glimpse objects that appear dim in the night sky. 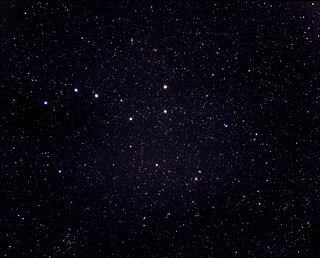 You can practice by looking at the second star from the end of the Big Dipper’s handle. What appears as a single star at first glance is actually a double star system made up of Mizar and Alcor, the horse and rider. You won’t discern two stars if you stare straight at this spot. Instead you must learn to pay attention to the image that flashes by as you look ever-so-slightly away. Inverted vision uses the light-gathering rods on the outer part of your eyeball. Telescope owners at star parties are usually happy to let you look through their lenses as long as you ask first. Visitors who line up for a peek often benefit from club members’ knowledge and experience. It’s a great chance to compare equipment and hear first-hand how people feel about the brands they’ve purchased. However, if someone is busy taking photographs, drawing images, or working on a project, it’s best to keep your distance. You can find out more about Canadian events through the Royal Astronomical Society of Canada (RASC). The organization, which has 29 clubs across the country, hosts star parties, astronomy workshops, and other events. Sky charts-such as found in Dot to Dot in the Sky, Stories in the Stars and Stories of the Zodiac. In 1997, as aspen leaves glowed golden and fireweed burned dark red in the early Yukon autumn, Gerry Kuzyk climbed the steep side of a mountain west of Whitehorse. 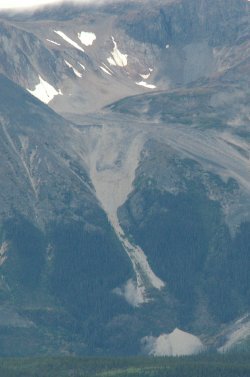 Kuzyk had taken time off his job as a Yukon government biologist for a few days of sheep hunting, and the high bare slopes are where you find mountain sheep. If you’re lucky. Kuzyk was lucky that day, but not quite in the way he expected. 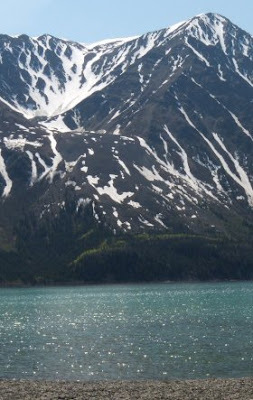 He made his way towards one of the pockets of permanent ice that nestle on the shady sides of Yukon mountains. Ice patches are made by season after season of snow that never quite melts, but compresses into layers of ice. The ice patches aren’t massive enough to flow like glaciers, but they are big enough to cool the air around them and provide animals like sheep and caribou with welcome relief from summer heat and insects. As Kuzyk got closer to the ice, he saw something dark spilling from its edges. And he smelled it. Caribou dung, he thought, and lots of it. The ice patch was melting, releasing a huge quantity of half-frozen caribou poop. Kuzyk was puzzled because caribou hadn’t been seen in that area for the better part of a century. That was the beginning of a new chapter in archaeology: ice patch archaeology. The stick was a dart, a sort of short spear launched by a throwing stick called an atlatl. It still had the remains of three feathers bound to it with sinew, probably by the hunter who lost it about 4,300 years ago. The caribou dung itself had accumulated over even more thousands of years, frozen and preserved in the ice, just like the dart. Ice patch archaeology is one of the unexpected consequences of global warming. Around the world, ice of all kinds is melting and revealing treasures from the ancient past, from pristine projectile points to lost bits of ancient clothing—not to mention the bones, horns, antlers, and droppings left by a variety of animals over more than 10,000 years. This year, ice patch archaeologists are coming back to where it all started. Frozen Pasts – the 3rd International Glacial Archaeology Conference will be held June 3 to 8, 2012, in Whitehorse, Yukon, Canada. One of the conference hosts is the Kwanlin Dun First Nation, some of whose members might well be descended from the hunter who lost his atlatl dart so long ago. For more information about Yukon ice patch archaeology, click here or here. And here are a few other places where ice patches have revealed treasures: the Northwest Territories, the American Rockies, and Norway. Some fabulous quotes and food for thought on the question of "What is science?" from the equally fabulous, Brain Picker. Check it out here. A big congrats to our very own Claire Eamer on the release of her new book, The World in Your Lunch Box. To promote the release, Annick is offering a great prize pack. More details here. And for the Titaniacs in the crowd, Sci/Why contributor is giving away signed copies of Canadian author Hugh Brewster's children's books on the subject. You can enter here. 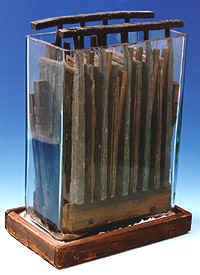 Every battery has the same basic components: the anode (negative electrode); the cathode (positive electrode); and the electrolyte. There's also a separator, which prevents electrons from traveling directly from anode to cathode within the battery chamber. Instead, they exit through a wire, traveling through a lightbulb or electric motor before re-entering the battery. According to legend, when Raymond Gaston Planté invented the first battery in 1860, he used a separator made from his wife's petticoat! Changes to battery housings have addressed a lot of these problems, as did the invention of the block heater! Today's gasoline-powered cars still use Planté's lead-acid batteries as starting batteries, and they were the energy source of choice for hybrids and electrics for decades. After all, lead-acid batteries are cheap and durable. However, there's not a lot of power relative to weight. To address this problem, scientists had to tackle the guts of the battery - the chemical reactions that produced the flow of electrons. One alternative chemistry that seemed promising involved replacing lead with another metal, nickel. Nickel-cadmium batteries (NiCAD) had better energy density, which meant vehicles could be driven farther and faster before having to be recharged. However, NiCAD batteries are highly toxic and difficult to recycle. They also have what's known as memory: if NiCADs are repeatedly discharged half-way, then recharged, they eventually "remember" this partial state of charge. As a result, the battery's full capacity can no longer be used. Nickel metal hydride (NiMH) batteries are less toxic and less prone to memory issues. However, they're also more expensive and take longer to recharge. 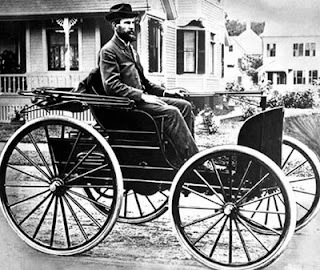 Before alternative vehicles could really start competing with gas-guzzlers, a completely new battery would have to be invented. But the key breakthrough had nothing to do with cars, and everything to do with portable electronics. Stay tuned for the final installment - From Cell Phones to Sports Cars! For more information on battery chemistry, check out Battery University.